Twin Cedars friends, family and enthusiasts with great tastings of our current releases paired with our favorite "Northwest" bites. We invite you to become part of the Twin Cedars Wine Club, our way to share limited release and library wines at special savings to our family, friends, and TCW wine enthusiasts. Three times each year (April, August, December), members credit cards will automatically be charged for a selection of the latest releases. Depending on their club membership level, they may receive 2 or 4 bottles. Members may pick up their purchase at the winery or have it shipped. 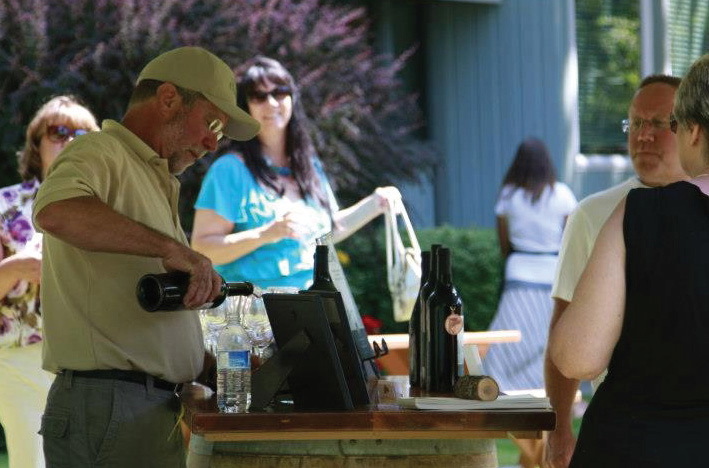 Members may want to pick up their August selection at our annual RootStock event. * Discounts based on current list price at time of distribution/sale, and may not be combined with other discounts. Discount applies to current selection and any other wine purchases made at the winery. You may quit at any time. Simply notify Twin Cedars in person, by email, mail, or phone. Visit or phone the winery.